–nonporous mesotherapy: using a special pulse occurred by the double-clicked current , directly lead the nutrition into the dermal layer of the skin. 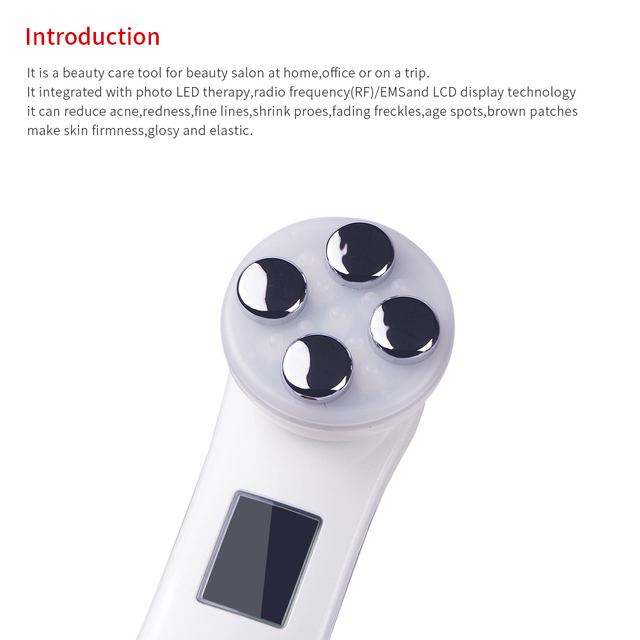 –Electroporation import: special currents activate the skin cells, make the effective skincare cream ingredients directly into the dermal layer.10 times increase the skin absorption! –RF current: high-frequency electrical resistance heating, effective at improving sagging skin,aging wrinkles, promote lymphatic and blood circulation and other care. 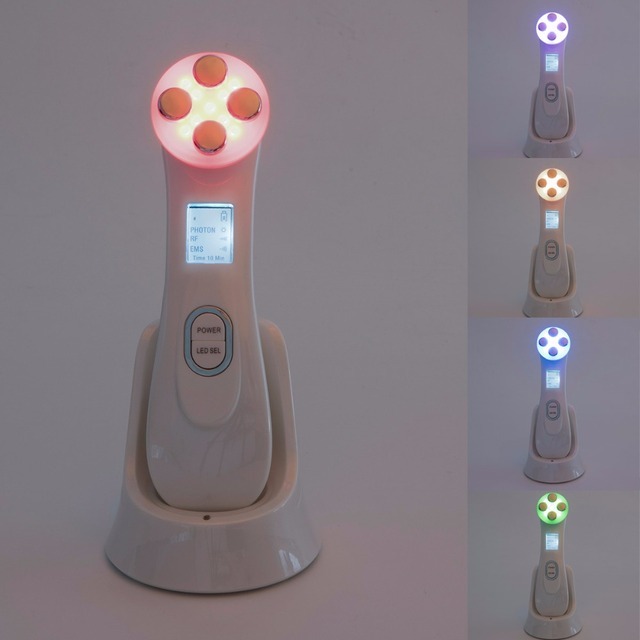 –LED phototherapy: repair and heal the mirco gaps of the electroporation, needle-free mesotherapy ultra- fine skin, the skin pores and has calming anti-inflammatory effect. 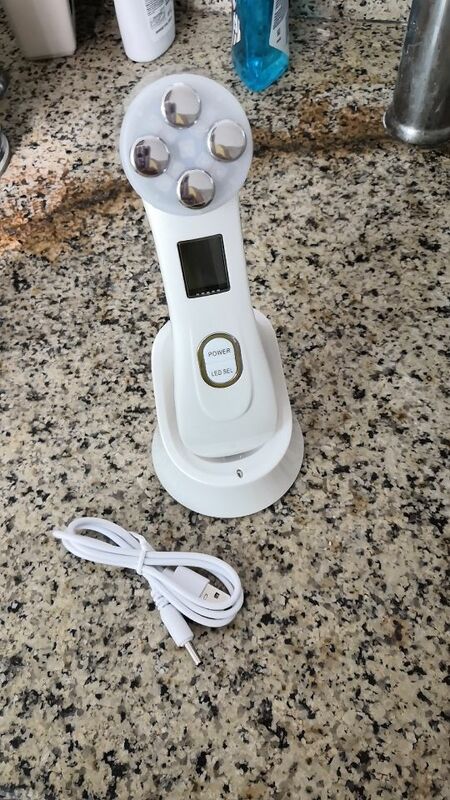 This beauty machine is used for collagen injection without a needle. Macromolecular components such as collagen and hyaluronic acid cannot easily penetrate the deeplayer of the skin from the surface. 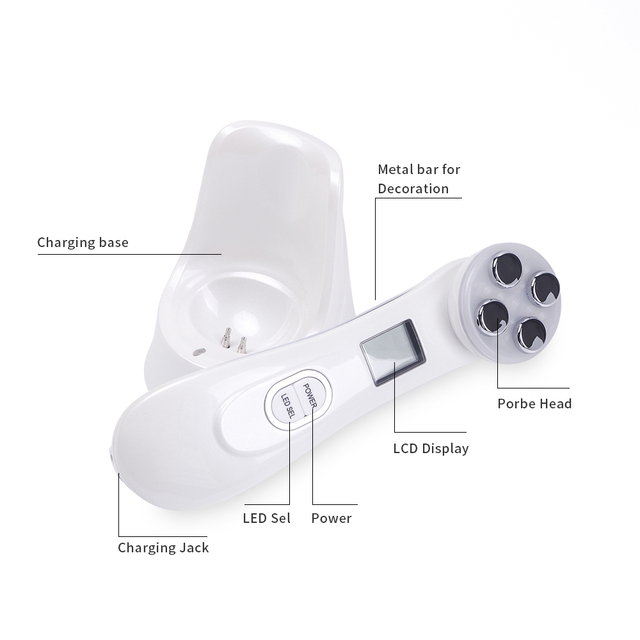 But with our special technology called “Electroporation” you can achieve a high level of effectiveness without any pain. Nutrition import penetration compared with ions from the skin surface is1mm about 10 times, 4mm about 27 times. The active ingredients into the skin. 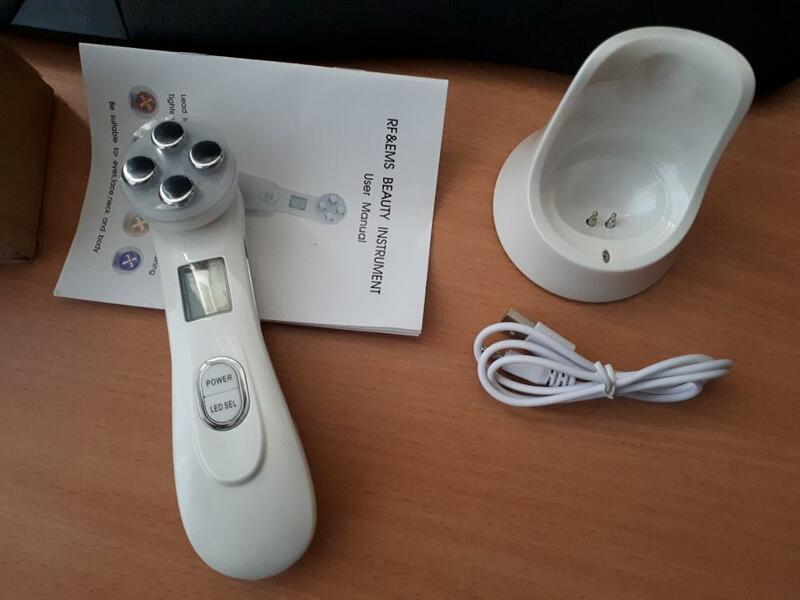 Which can function efficiently, so you really feel the skin improvement and delay aging effect. 1.Use 3 times per week for 10minutes each time. 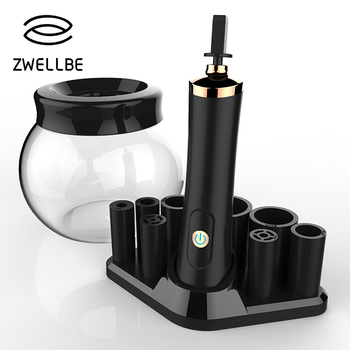 2.easy to carry,can be held in the hand. 3.suit for uv-damaged,acne-prone,blemished skin,soften the lines and wrinkles, prevent the ageing skin problem,against pigmentation skin. 4.suit for :face/bridge of the nose/forehead/chin/eyebag and the wrinkle care. 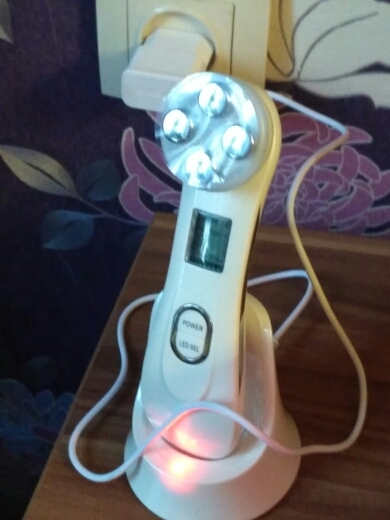 LED light is used to provide a painless skin-care treatment that plumps up skin by boosting collagen production and treats mild to moderate acne. 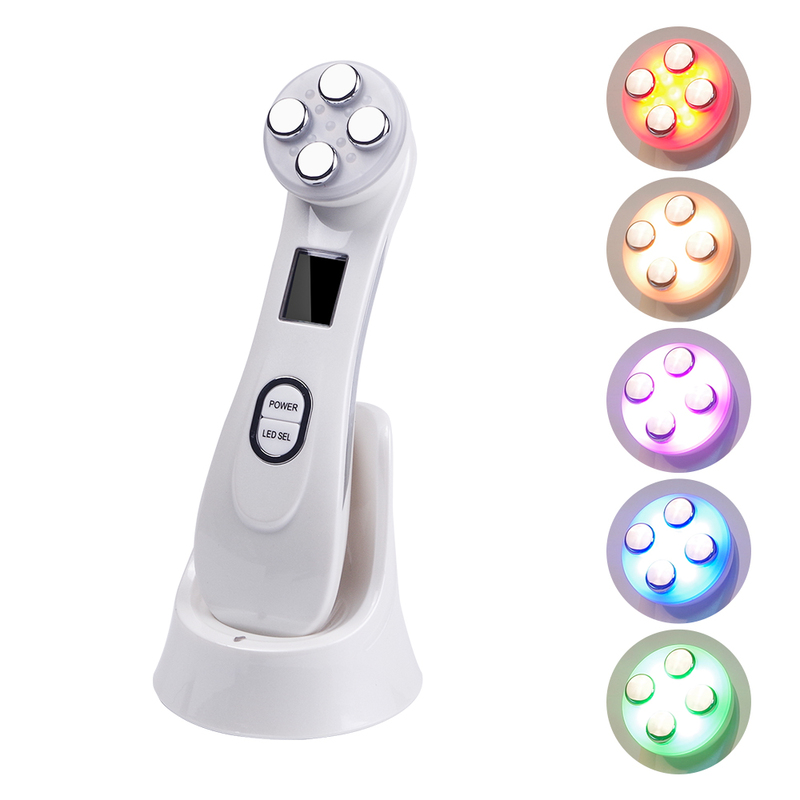 5 Lights can solve skin problem: red light(620nm):Promote collagen regeneration, skin elasticity, fit for wrinkled skin. 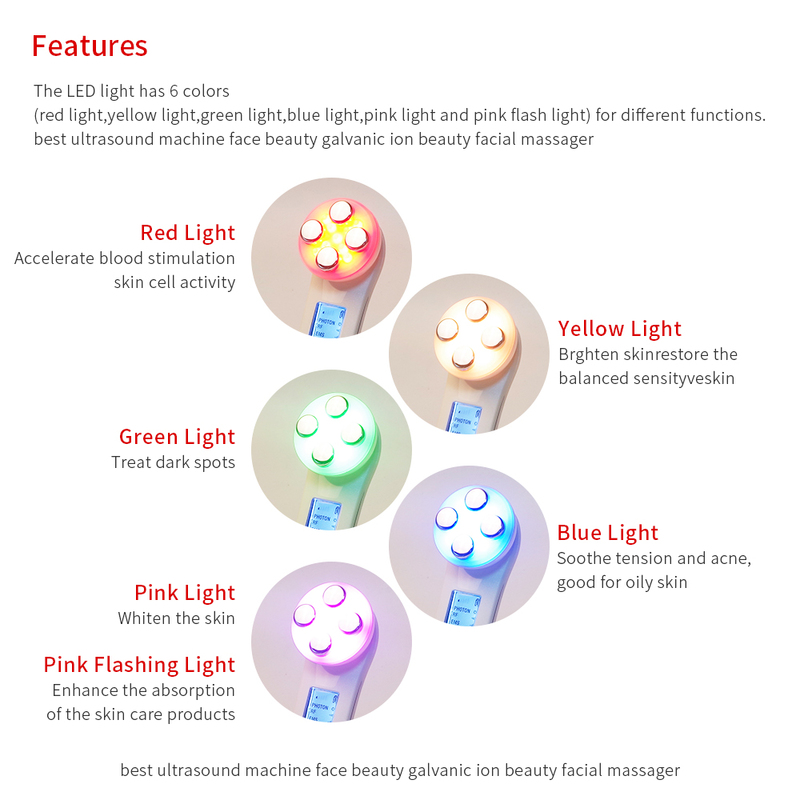 green light(520nm):Applied to suppress skin melanin to whiten skin. blue light(415nm):Remove acne,shrink pore,improve the skin grease,eliminate and restrian the bacteria of the pore. yellow light(590nm):Soomthe the skin,brighten,prevent allergy. 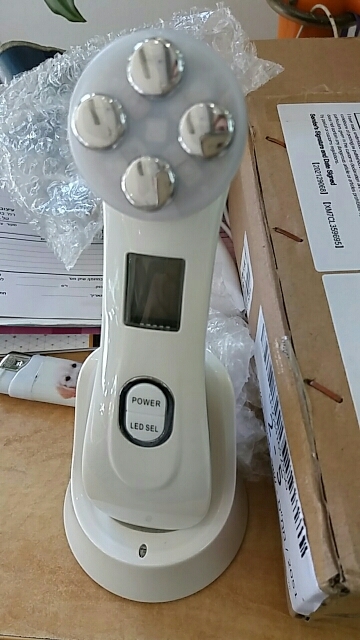 pink light(700nm):Whiten the skin,fit for dull complex skin. pink flashing:Strengthen absorption of the beauty liquid or gel. 1.Insert the USB cable connector into the device. 2.Clean your face,apply serum or cream on your face. 3.Press the POWER switch to adjust the intensity level. press once means intensity level 1; twice/third/four/five times means level 2/3/4/5; six times powers off the device. 4.Press LED SEL. button to select different LED light. 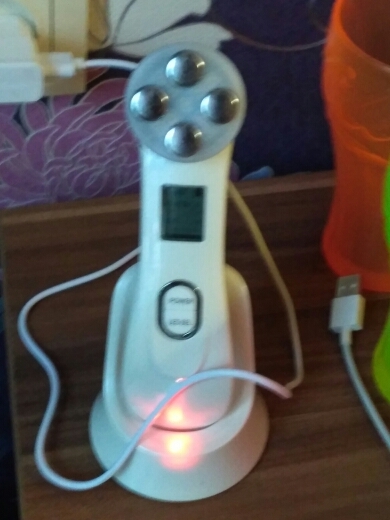 press once is Red light; twice/three/four/five/six times is Green/Blue/Yellow/Pink/Flashing Pink; seven times to turn off the led light mode. 5.Move the device slowly to your face. 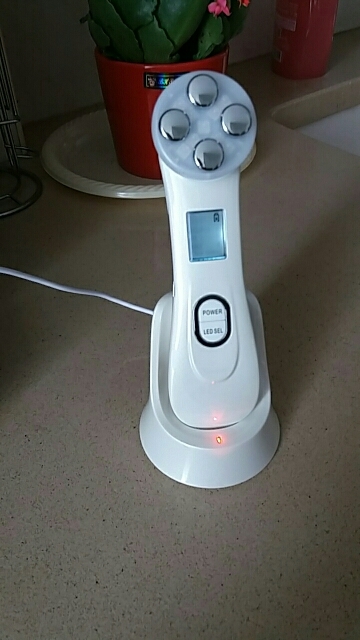 The device will automatically shut off after 10minutes of use. Tips:Read the manual carefully before use. 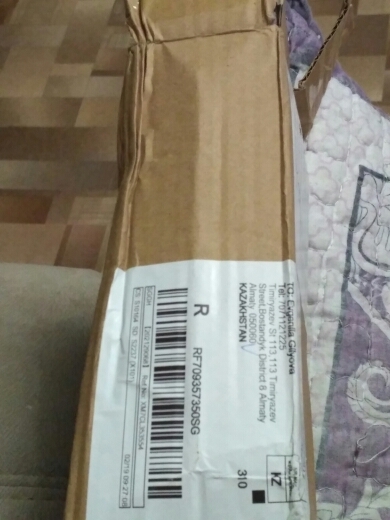 The device came in a month, it was brought by a courier. but in the kit came without a plug, which is inserted into the socket. There is a wire, a plug from your phone did everything work. But i have not yet experienced on myself and do not know what effect will be. 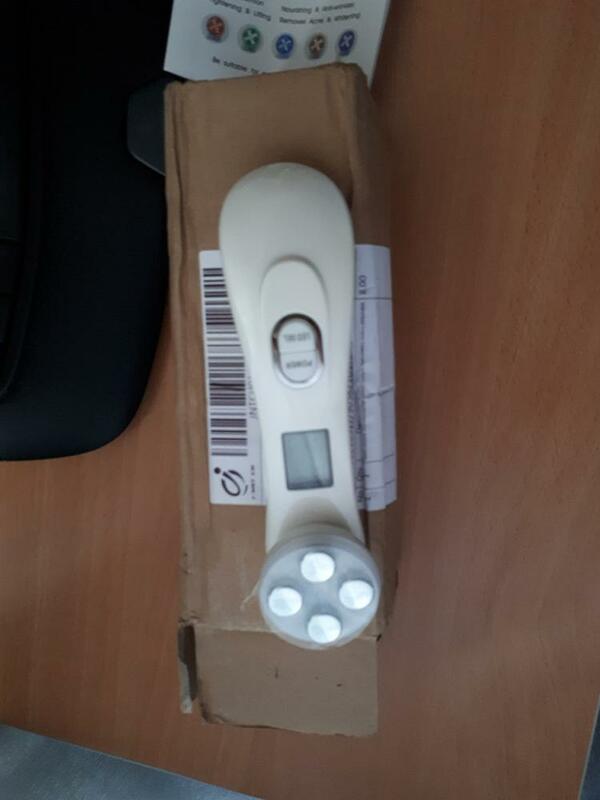 3 years order on ali express and it is super fast shipping 10 days. The box is a little crumpled, but everything is whole. As in the description. Charging. Currents are felt. As i try in action i will write. While satisfied.